"Mes plus sincères sympathies à la famille Roy!" "My condolences to the family. Lisette was a very special..."
"Please accept my deepest sympathies. ..."
MADISON - Lisette Roy Dickinson Francoeur, 74, of Madison, passed away peacefully on Sunday, Nov. 25, 2018, at St. Joseph's Nursing Home in Waterville. Lisette was born on June 21, 1944 in St. Martin, Quebec, Canada, the daughter of Joseph A. Roy and Adrienne (Scully) Roy. She graduated from Madison High School in 1963, then went on to study to be a CNA. She received her certificate to be a Certified Nurses Assistant..
Lisette was a natural caretaker. She worked at Maplecrest Nursing home in Madison. She ran a daycare in her home in Norridgewock for 17 years. She worked nine years at Health Reach Homecare in Waterville. She also worked at Assistance Plus long term home care in Benton, for 14 years. Her career choices suited her well with her caring and giving nature. She was a member of the Calvary Pentecostal Church, she did volunteer work at Maplecrest Nursing Home and the church clothes closet. Lisette enjoyed doing many things including, going to bible study, reading, knitting, crocheting, embroidery, and gardening. She also loved taking care of people and she loved children. She was predeceased by her husband, Raymond Francoeur; both of her parents; three brothers, Mark Roy, Patrick Roy, and Robert Roy, and her two sisters, Claudette Morin, and Suzanne Levesque. Lisette is survived by her son Arthur Dickinson, of Chelsea; her sister, Ghisline Belanger; and husband, Arnold, of Skowhegan, her two brothers, Val Roy, of North Anson, Gary Roy and partner, Jill Nichols, of Madison; her grandchild, Mark Parish; and many nieces and nephews. The family would like to thank, Beacon Hospice, Mount Saint Joseph's Staff and all of Lisette's doctors for their care and kindness. A funeral service will be held on Saturday, December 8, at 2 p.m., at the Calvary Pentecostal Church in Madison. Burial will be in the spring, in St. Sebastian Cemetery. Arrangements are under the care and direction of Giberson Funeral Home, Bingham. 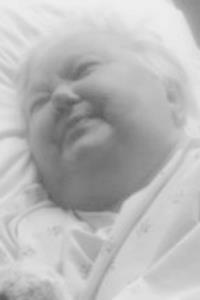 To send an online condolence to Lisette 's family, please visit, www.gibersonfuneralhome.com.